What makes Venice special, compared to other cities? It is interesting history, palaces, canals and bridges. Venice is a city of islands, canals and bridges. The city is not only surrounded by water on all sides. Water (channels) performs at Venice the same role as the streets in other cities. The city of Venice is located on 118 islands, that divide 177 canals and connect 354 bridges (some sources stated that there are more than 400 bridges in Venice). Most of the channels are not channels in the full sense of the word. Most often it is the straits between the islands. The main transport routes of the city are “Grand Canal” and the “Giudecca Canal” channels. Both channels begin near “Piazza San Marco” square (Saint Mark Basin) and ends near the Venice railway station (Santa Lucia train station, Stazione di Venezia Santa Lucia). •	Grand Canal (Canal Grande) is shaped like the letter “S” and divides the city into two parts. On the banks of the Grand Canal is located the largest number of palaces of Venice. The Grand Canal is recommended to sail all travelers. Grand Canal channel is approximately 3800 meters long and from 30 to 90 meters wide. Chanel depth is about 5 meters. Giudecca Canal (Canale della Giudecca) is a large, wide channel, major transport axes. Via Giudecca pass waterway for large cruise ships. Channel length is about 3 kilometers, and width 150-200 meters. The Rialto Bridge (Ponte di Rialto) is the most famous bridge in Venice. 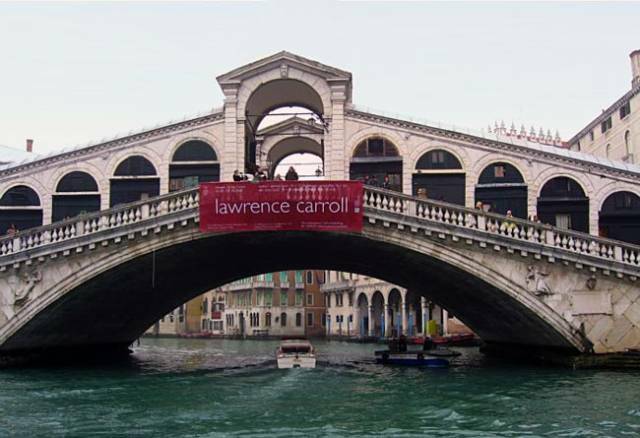 The bridge was built in 1591 and until 1854 was the only bridge over the Grand Canal. The total bridge length is 48 meters, the length of the span (arch) is 28 meters, bridge width is 22.1 meters. The “Bridge of Freedom” (Ponte della Libertà) is one of the most important bridges in Venice. Bridge crosses the lagoon and connects the city to the mainland. Buses with tourists come to Venice along the bridge. Also railway is on the bridge. The “Bridge of Sighs” (Ponte dei Sospiri) is also one of the most famous bridges in Venice. It connects the “Doge's Palace” and the “New jail”. The “Constitution Bridge” (Ponte della Costituzione) is the most modern bridge in Venice. It was opened in 2008. The bridge is also known as Calatrava Bridge. It connects the Venice “Santa Lucia” railway station to “Piazzale Roma” square, on which is located the city bus station. In the construction of the bridge is widely used glass. In the pictures on this page are shown the Rialto Bridge and one of the small canals in the historic part of the city. Do you know: In which city in Europe are more bridges than Venice?